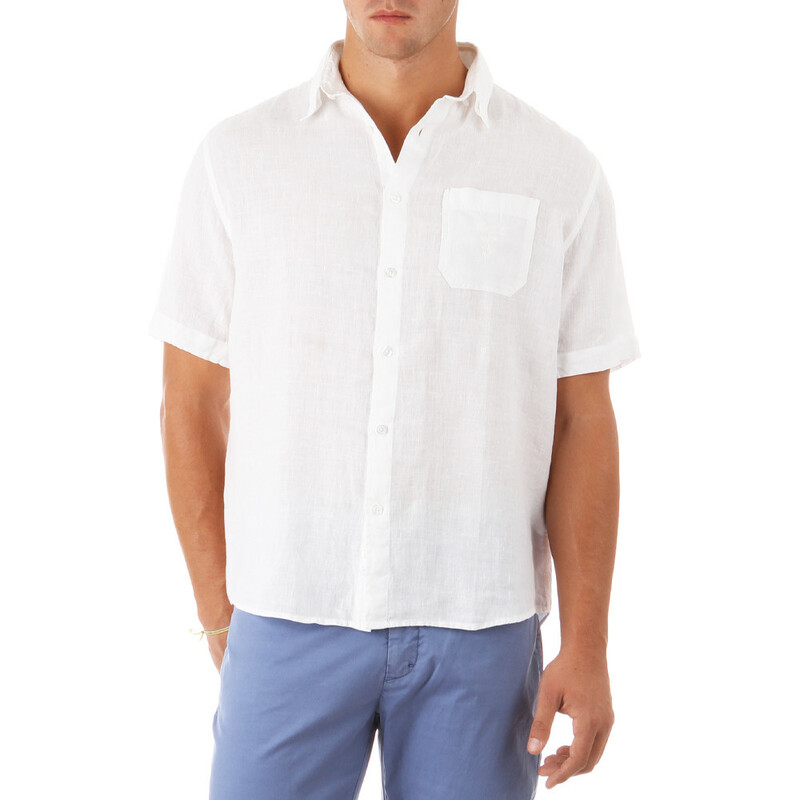 100% linen, short-sleeve white shirt for men. 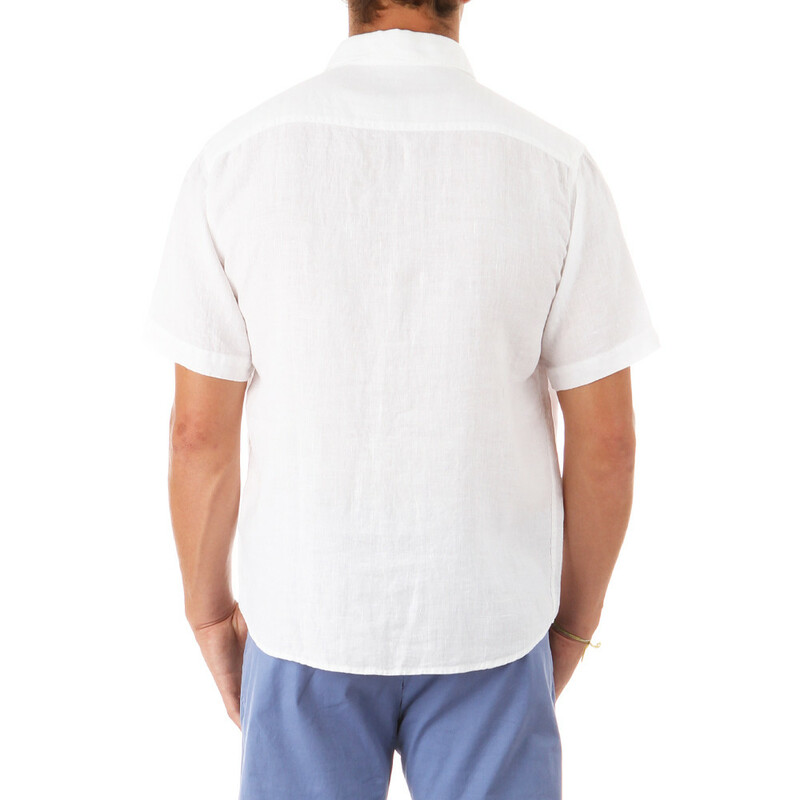 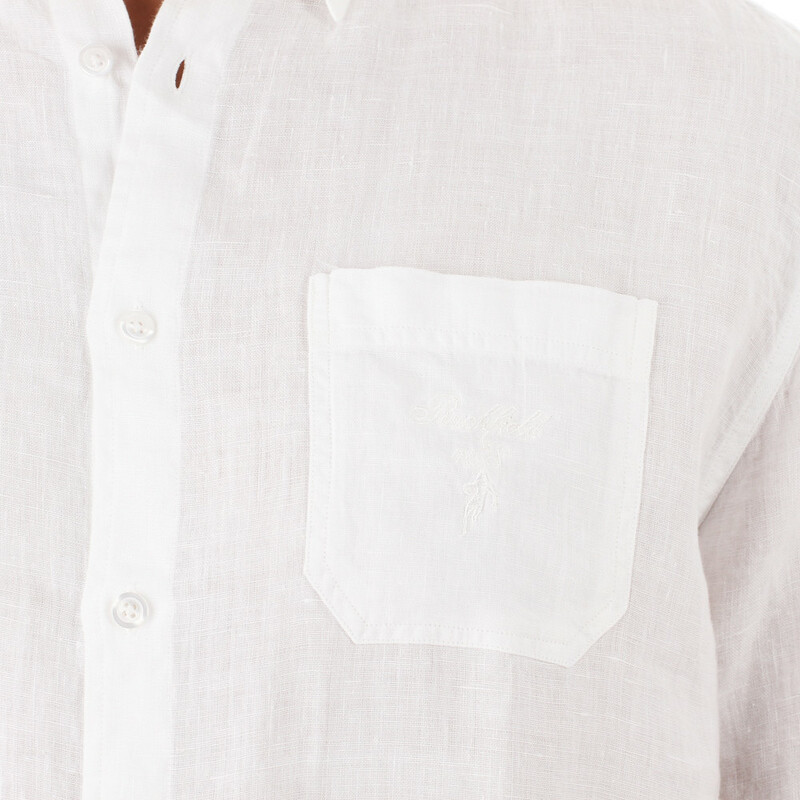 100% linen, short-sleeve white shirt. 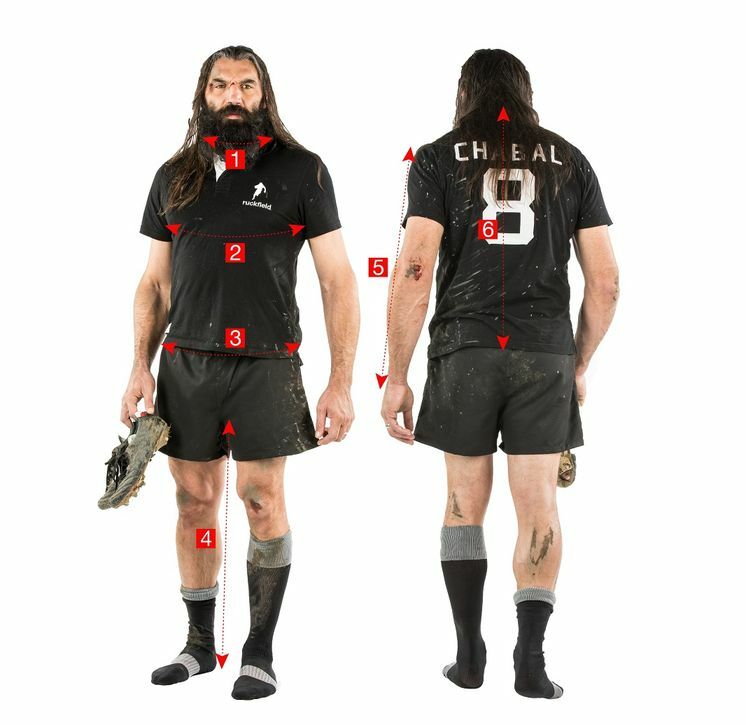 Patch pockets and Sébastien Chabal's outline embroidered on the chest.